You can never get bored of WhatsApp. At least not until the developers of this popular instant messaging application keep on releasing on a frequent regular basis new and always improved versions of this app. 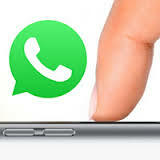 So far you can use WhatsApp with Android devices, iPhones, Windows Phones, BlackBerry and Nokia Asha devices. It’s a fact that WhatsApp seems to be very special to its users, and the result is that today it is the most used instant messaging service all over the world, with 900 million monthly active users. Most of the people use WhatsApp with Android devices, and that explains why this is the platform that receives major attentions by its developers. But, as we said above, there isn’t only Android. iPhone users are undoubtedly a lot, and their WhatsApp version is currently one of the most advanced. Just a couple of weeks ago there was a major upgrade of WhatsApp for iPhone, and this week, with the new version 2.12.12, we can see that the new features have been already improved. a new design for the Settings tab (so now you are able to view all your starred messages simply going to Settings > Starred Messages).